After arriving in China to teach English, you’ll need a place to live. 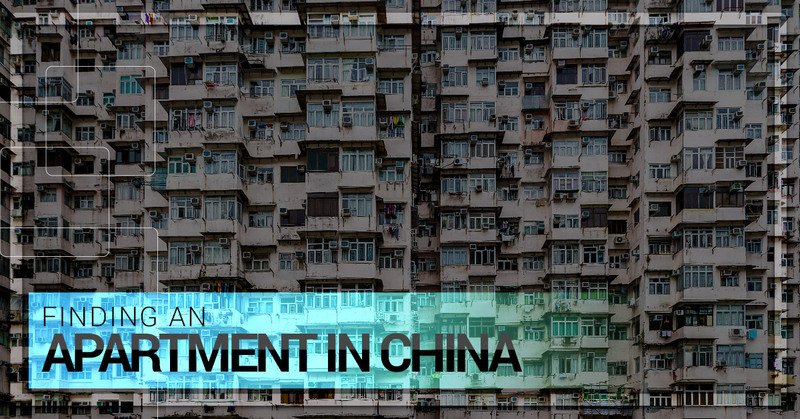 Finding an apartment in China is not the easiest thing to do on your own, but it is possible. Ideally, your school or company can help you find an apartment or perhaps a Chinese friend will be able to assist you. If neither of those options are available to you, there are still two ways to find an apartment on your own. The first is online. If you live in Beijing, Shanghai, Guangzhou or other large cities, there should be an English website that is advertising apartments for rent. However, be aware that the majority, if not all, of the ads are posted by agents, and the photos they use are often fake. You will most definitely not be able to find a two bedroom apartment in the heart of town that looks like a 5 star hotel and pay only 3000RMB a month! It’s just not possible. Once you contact the housing agent, they may or may not be able to speak English. Either way, it’s best if you have a Chinese friend who can go with you to visit the apartments to make things easier. The second option you have for finding an apartment in China is to put on your walking shoes. Walk around the area you want to live and keep an eye out for a group of people wearing white collard shirts and matching lanyards loitering in front of the ubiquitous property agencies in town. Some of the top agencies in China are Zhonglian, Lianjia (Homelink), and Zhongyuan (Centaline). If you go by yourself and can’t speak Chinese, make sure to have your apartment needs written down in Chinese. At a minimum, they will need to know your budget, desired location, and apartment size. If the real estate agent shows you pictures of an apartment that you like, they may call the landlord and have you jump on their motorbike with them right then and there to go see the apartment. If it turns out to be your dream apartment, arrange another time to sign the contract with the landlord and remember you’ll need to pay an agent fee of anywhere between 35%-100% of one month’s rent. Happy house hunting!